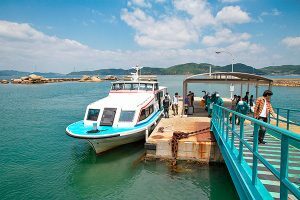 Visit the islands by regular ferry service to enjoy nature, art, delicious food, and a wide variety of interesting activities and interactions as you feel the flow of time slow to a relaxing tempo. 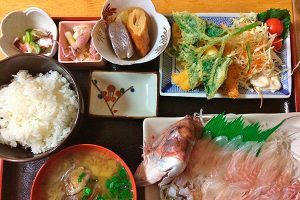 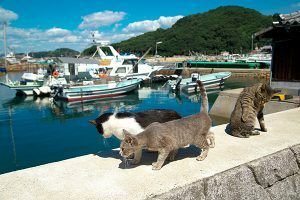 You can enjoy good food and meet the many cats living on Manabeshima Island. 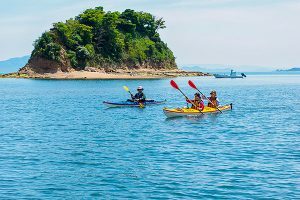 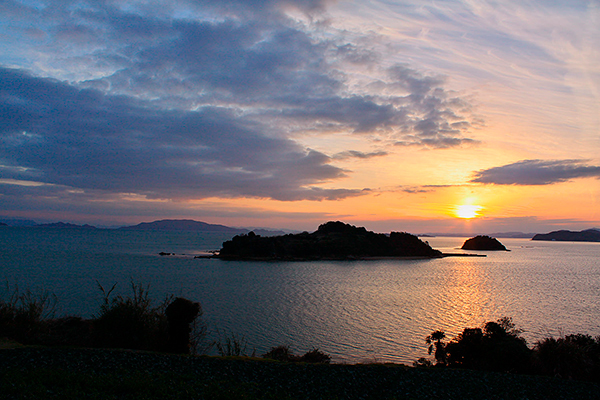 Kitagishima Island is known for its quarries, and Shiraishijima Island offers sea kayaking and other activities. 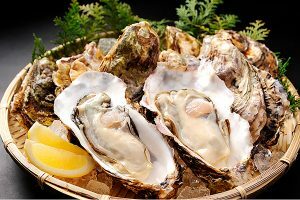 Fresh seafood is very tasty! 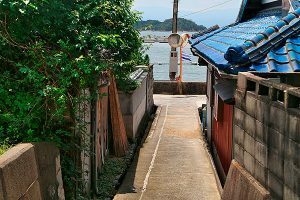 You can meet cats around every corner on this island in an atmosphere of a traditional Japanese fishing village. 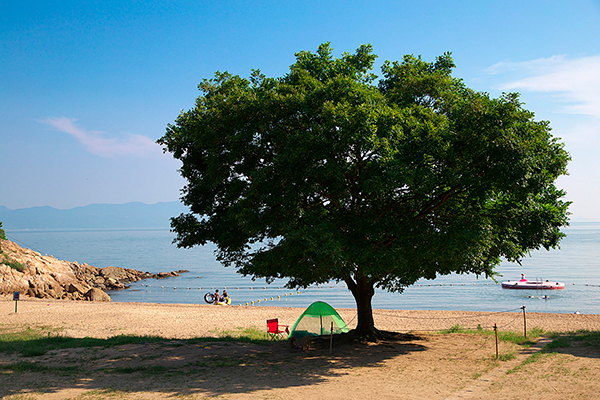 Accommodations are available at two inns. 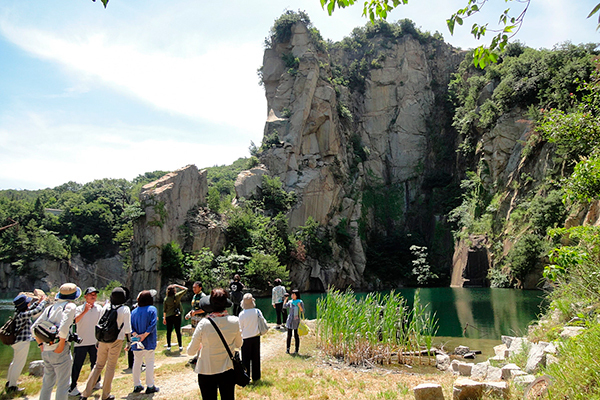 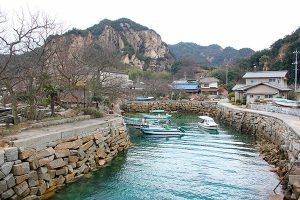 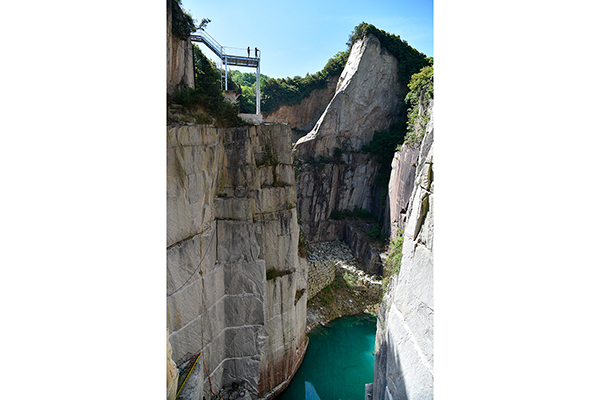 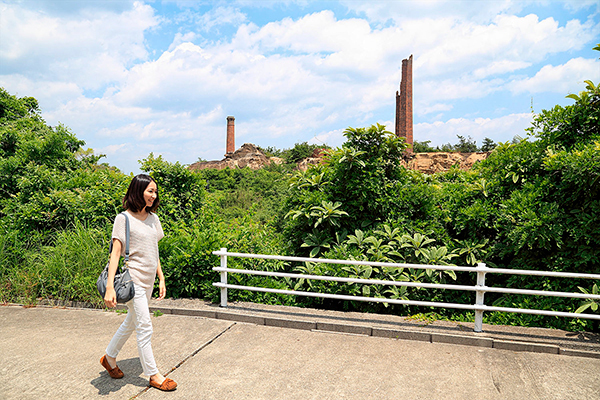 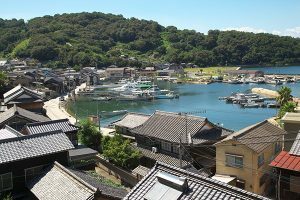 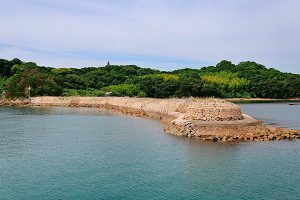 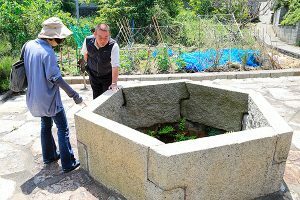 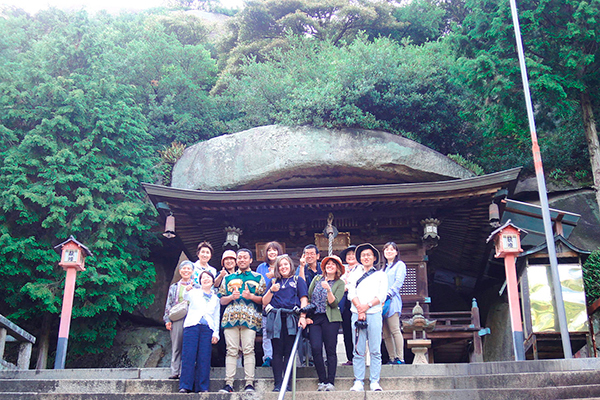 Kitagishima Island has flourished as a stone quarry for 400 years, and some old sites still remain. It is fun to experience sea bathing and camping here. 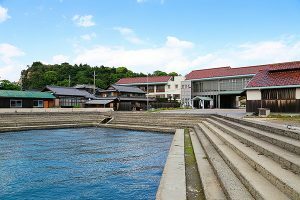 Accommodations are available at two inns. 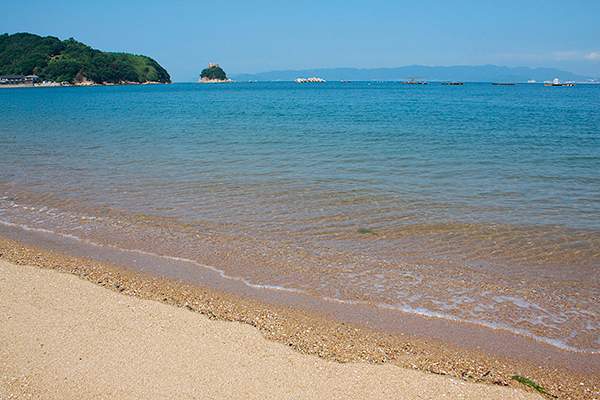 Sea bathing, sea kayaking, and hiking on Shiraishijima Island are great fun. 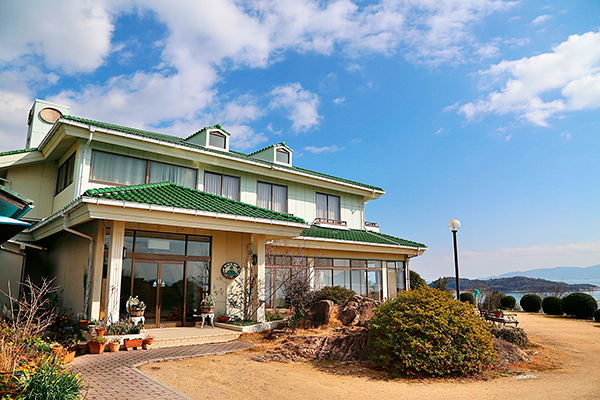 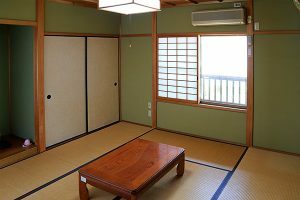 In addition to an International Villa for visitors from abroad, accommodations are available at five inns. 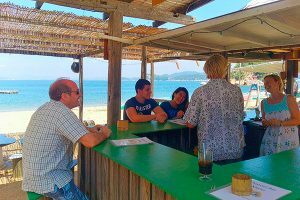 An American woman living on the island has a seaside bar in summer! Otabujima is one of the Hinase Islands. 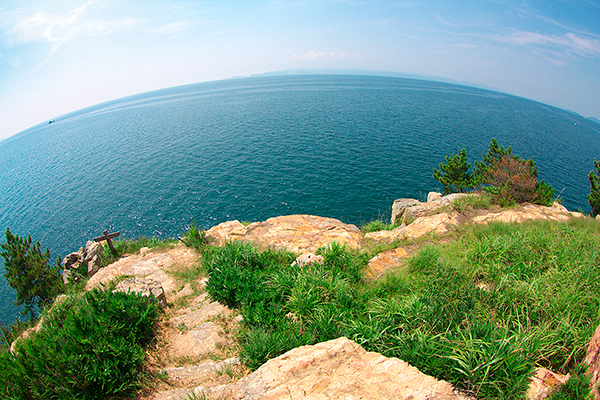 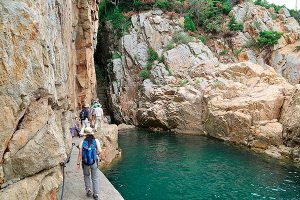 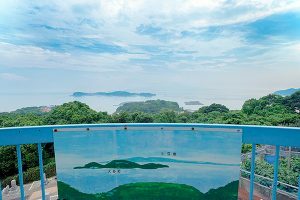 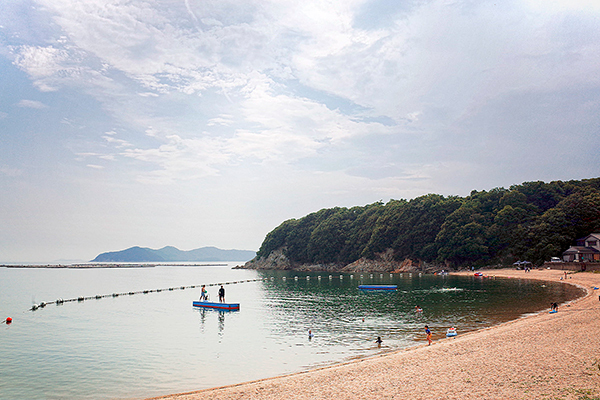 Here visitors can enjoy sea bathing and hiking. Kashirajima is another island in the group. 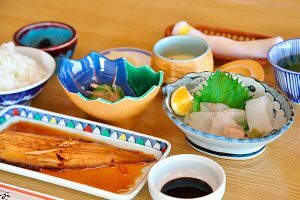 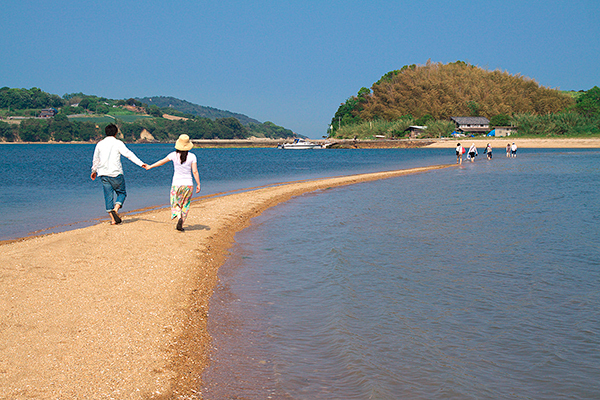 Here visitors can enjoy fresh and delicious fish, sea bathing in summer, and orange picking in winter. 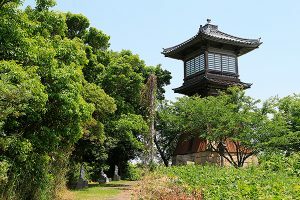 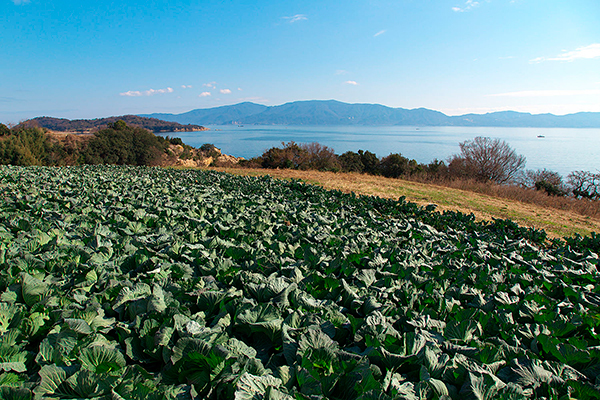 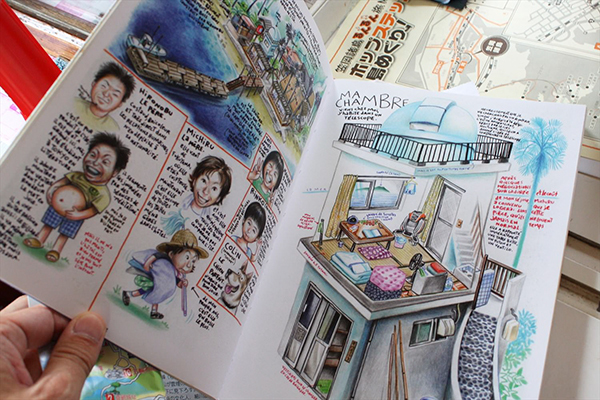 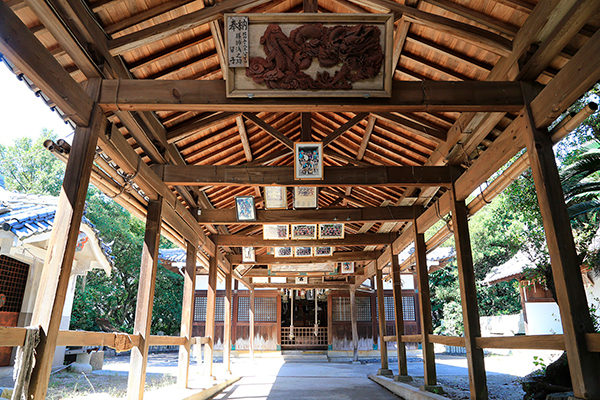 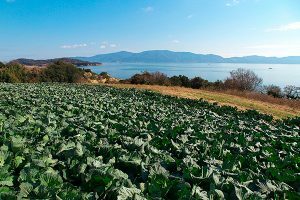 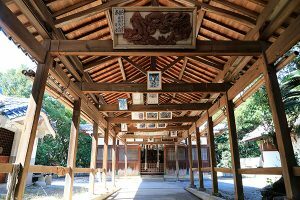 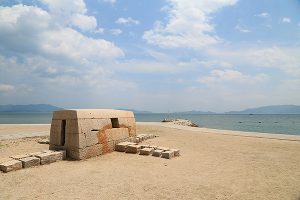 Otabujima Island has many historical spots. 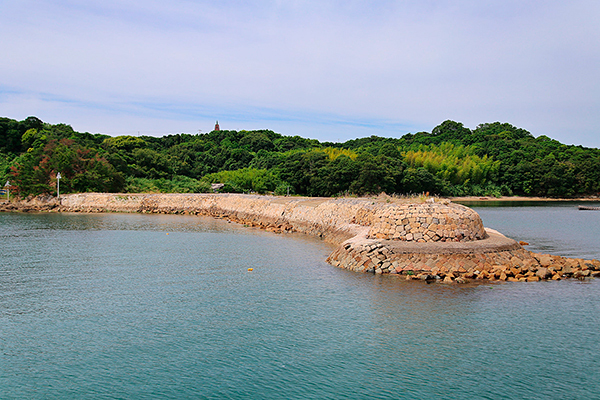 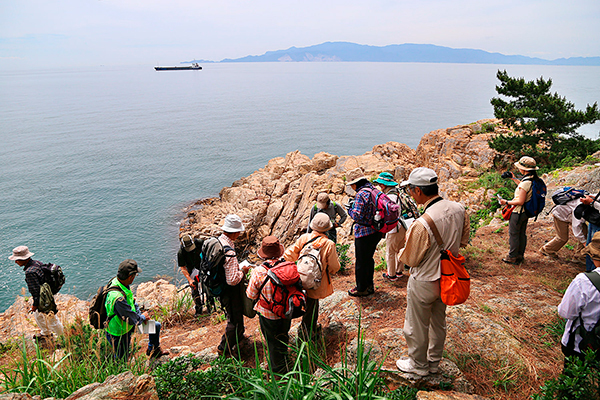 A 5-km nature trail that goes around the island is a great way to see the island's beautiful scenery. 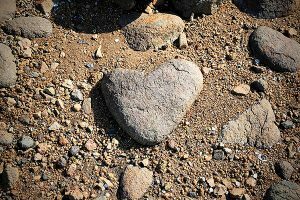 Accommodations are available at one inn. 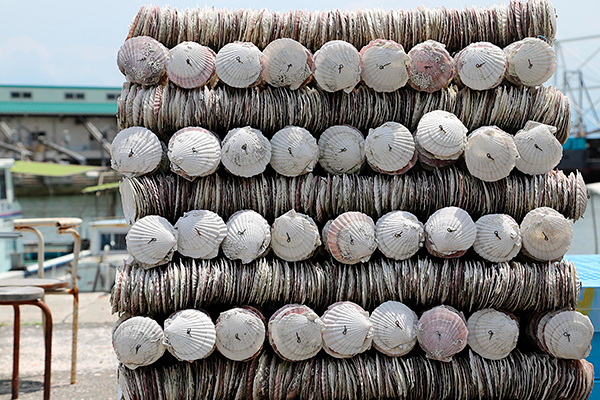 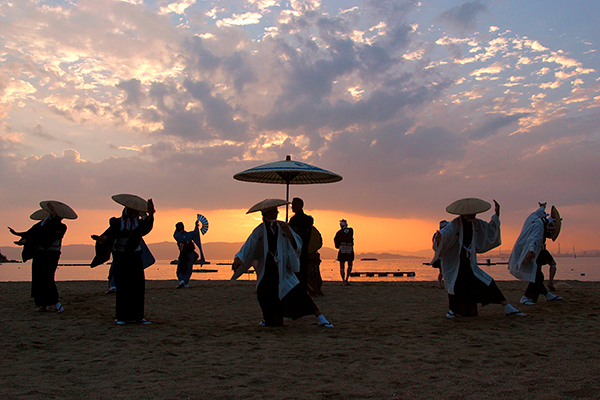 Kashirajima Island is popular for its fresh seafood, sea bathing, and fishing. 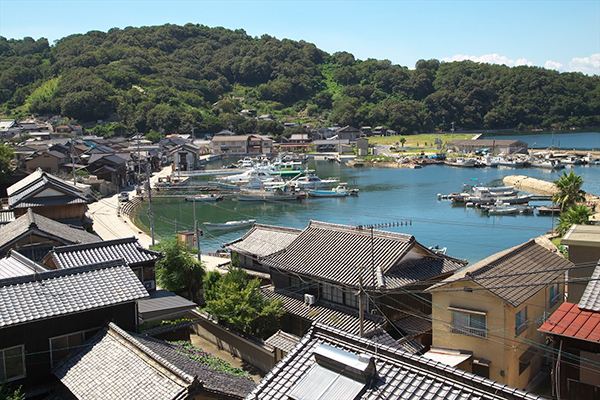 Accommodations are available at five inns, and a bridge makes it convenient to visit by car. 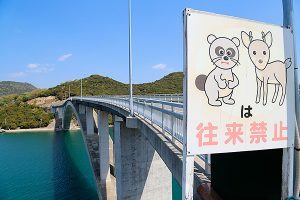 Only 5 min. 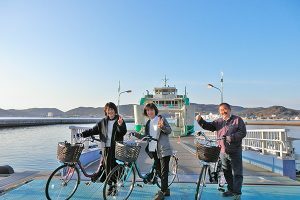 away by ferry. 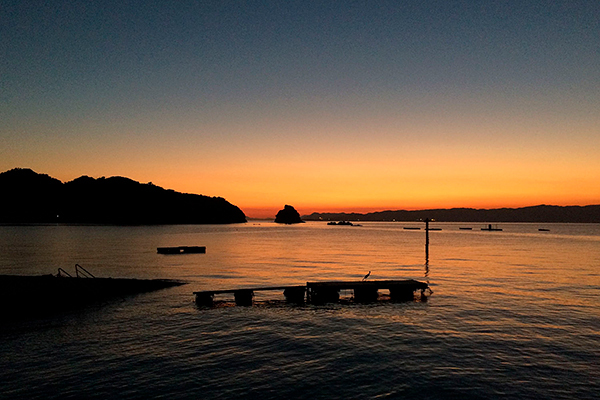 A wonderful sunset awaits you! 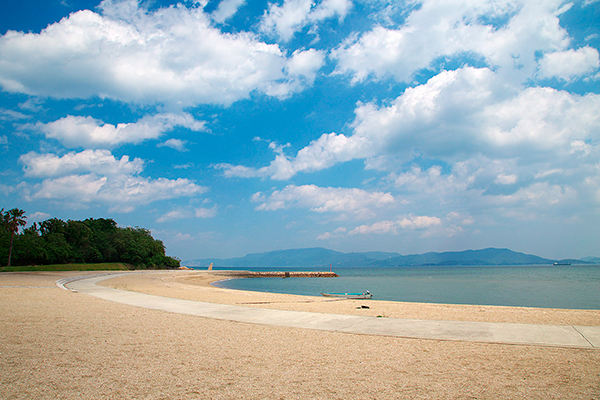 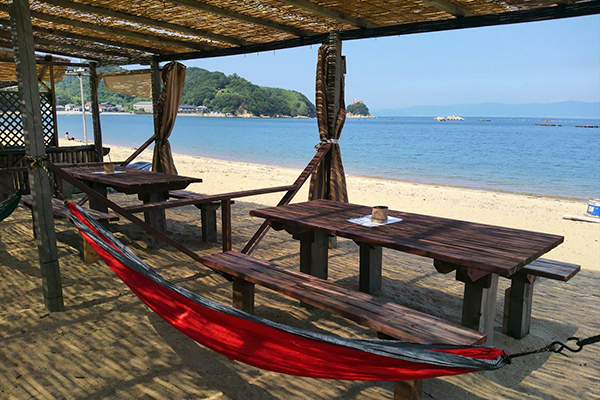 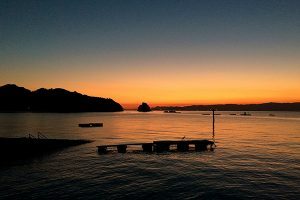 Maejima Island offers sea bathing, sea kayaking, fishing, and camping. 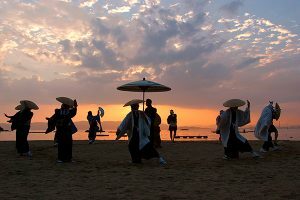 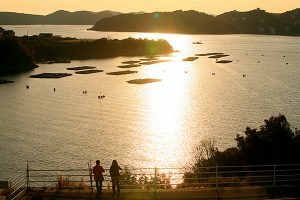 Cycling is popular and there is a spot where you can see beautiful sunsets was selected for inclusion as one of the 100 most beautiful sunsets in Japan. 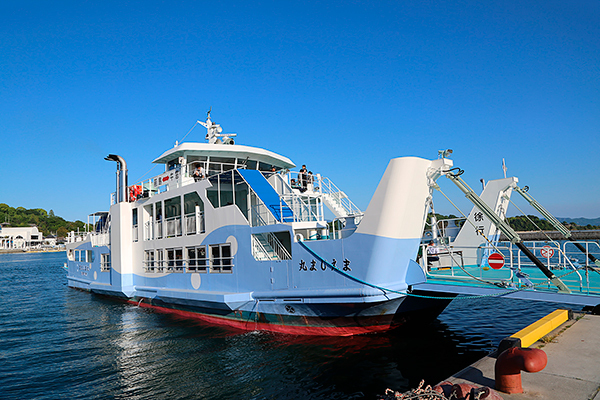 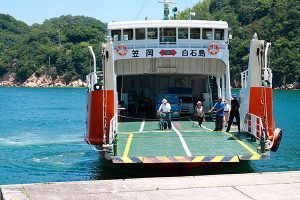 Cars can be rented in Ushimado and brought by ferry. Accommodations are available at eight inns. 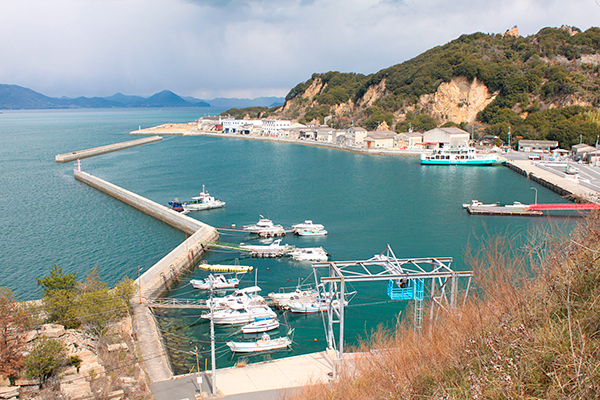 Kuroshima Island is located off the coast of Ushimado. 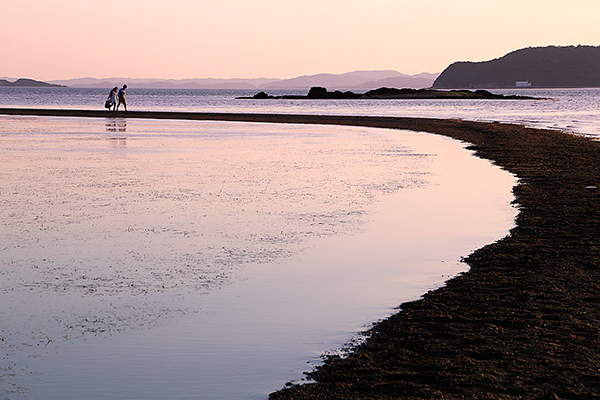 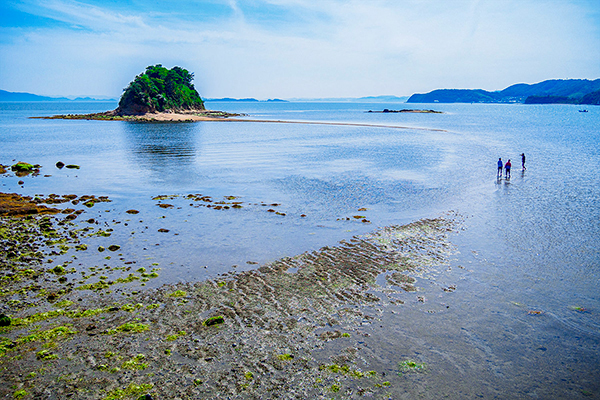 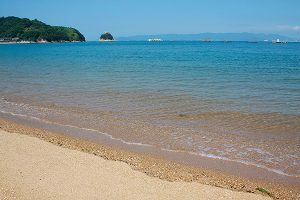 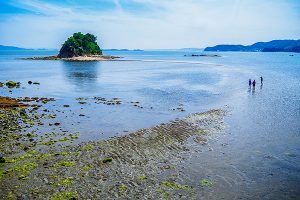 A sandbar that appears in an arc at low tide on special days links Kuroshima with two other islands. 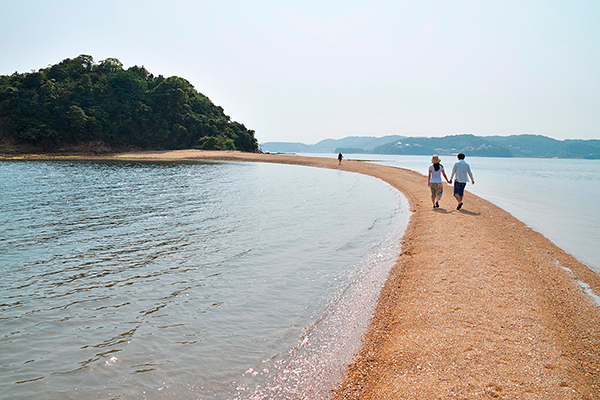 You can walk to these islands. 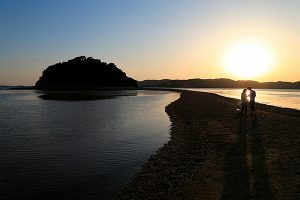 The sunset seen from Kuroshima Venus Road is very romantic. 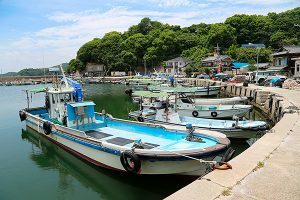 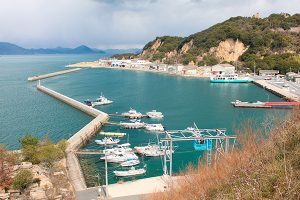 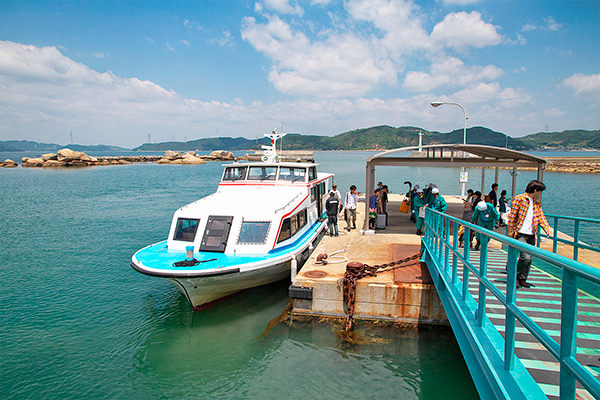 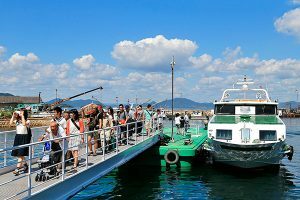 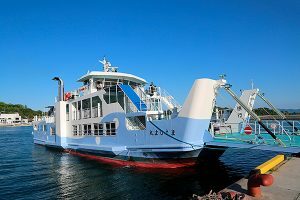 Boat transport service is available between Ushimado and Kuroshima. The ferry port is approximately 30 min. by bus from JR Oku Station. 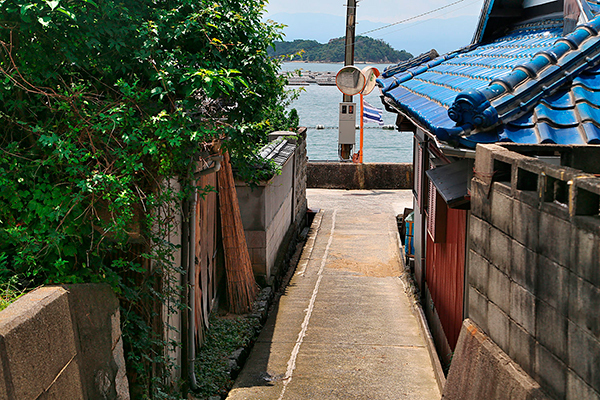 Disembark at Ushimado bus stop and walk about 1 min. Only 10 min. 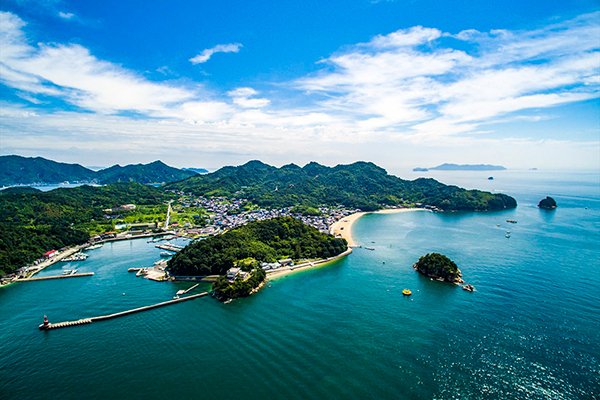 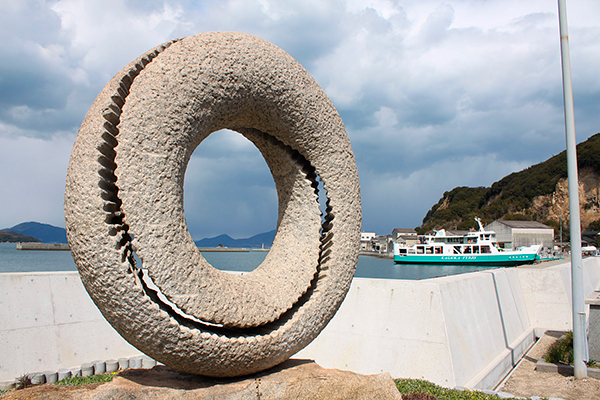 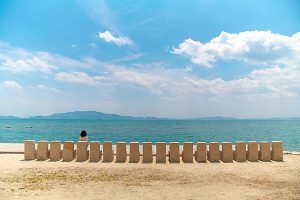 by boat, Inujima Island features a great harmony between extraordinary modern art and beautiful scenery. 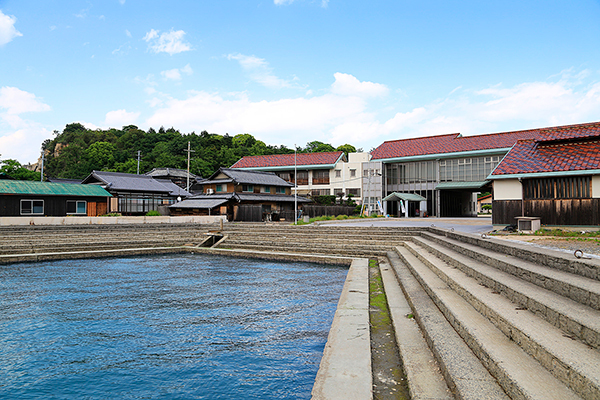 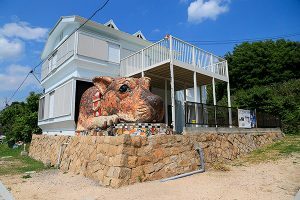 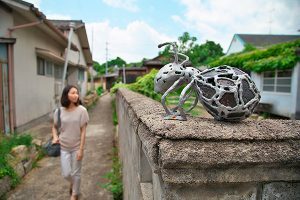 Inujima Island is dotted with many works of art, including a museum remodeled from a copper smelter. 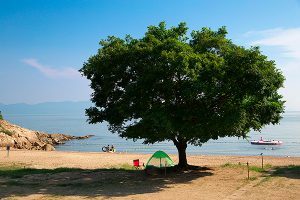 Accommodations, sea bathing and camping are all available. 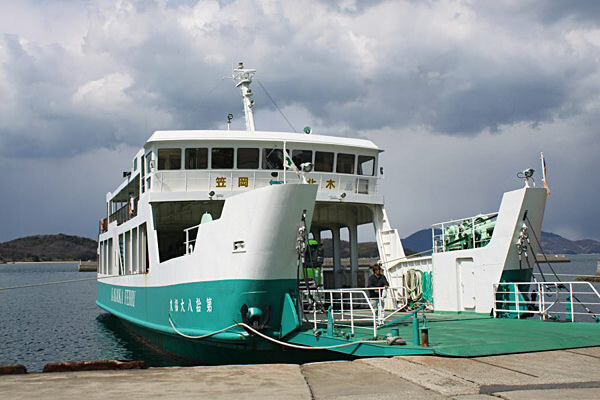 The ferry port is approximately 30 min. 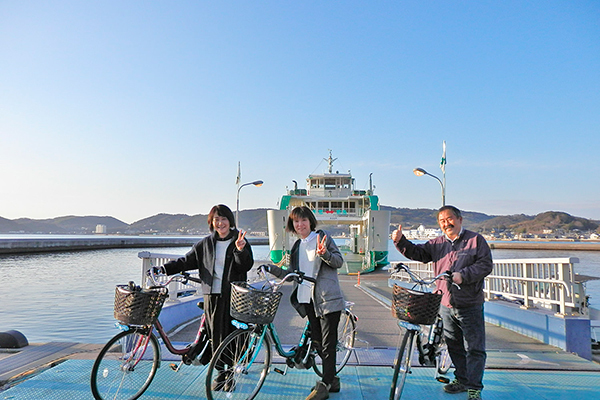 from JR Oku Station by bus bound for Hoden. 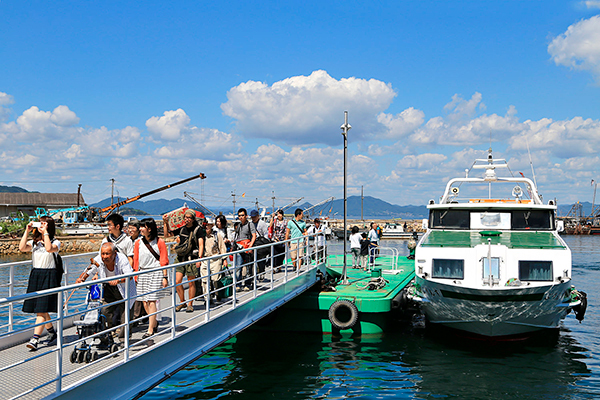 Disembark at Nishi-Hoden bus stop and walk about 2 min.